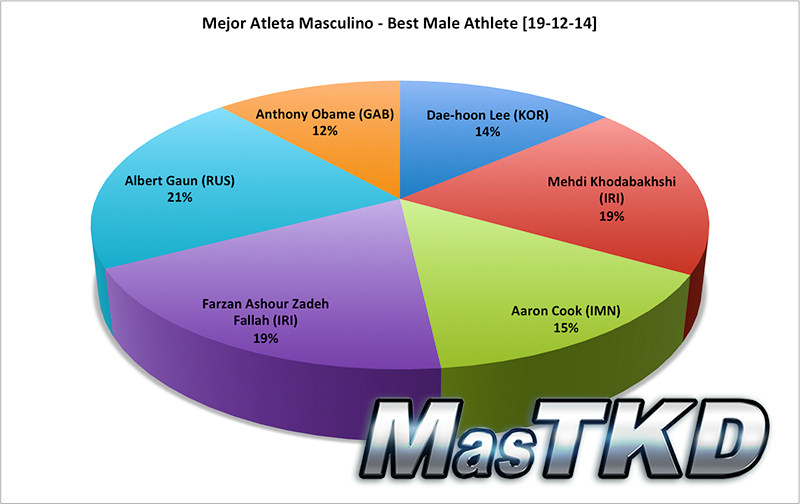 Russia and Thailand, leading the "MasTKD Awards"
International - 2014/12/23 - Anastasia Baryshnikova and Albert Gaun from Russia, lead the best female and male athlete category, respectively. Russia also is leading in the Best Male Team category. Thailand, Turkey and France are other actors in this voting process. Here are the details. The choice to determine who have been the best of Taekwondo, in different categories, in 2014 continues, and thanks to the different campaigns from various National Federations, the results have changed dramatically in the last days. You may vote until December 31, 2014. So far and based on more than 11,000 votes, France and Thailand are tied in the Best Female Coach category, while for the Best Male Coach category, Turkey is ahead. In the Best Female Team category, Thailand is leading followed closely by France. 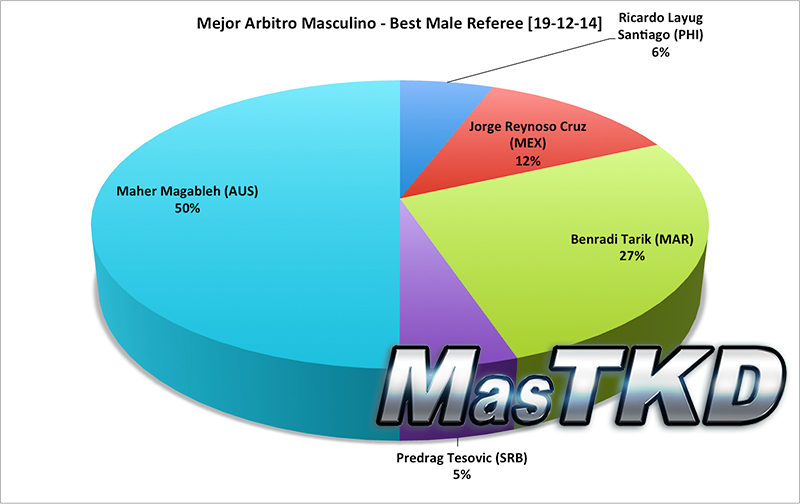 As far as Best Referee is concerned, Thailand and Australia are dominating, in Female and Male respectively.